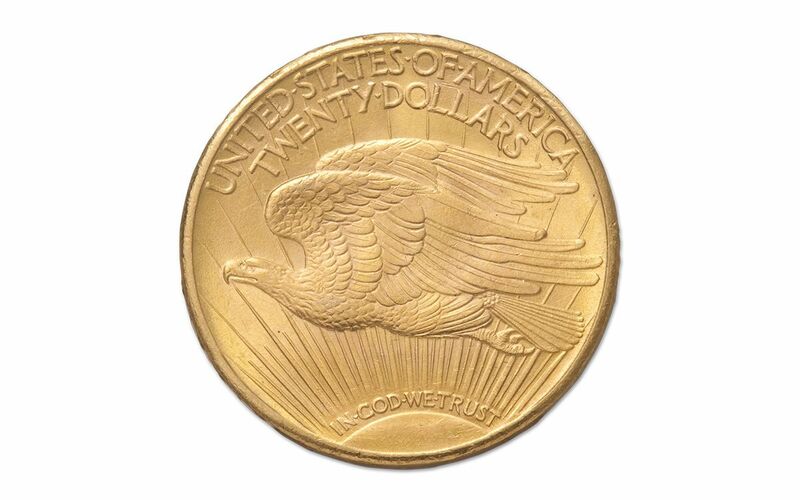 When famous coin designer Augustus Saint-Gaudens was preparing the face of the 1907 $20 gold piece, President Teddy Roosevelt instructed him to leave off the motto "In God We Trust." 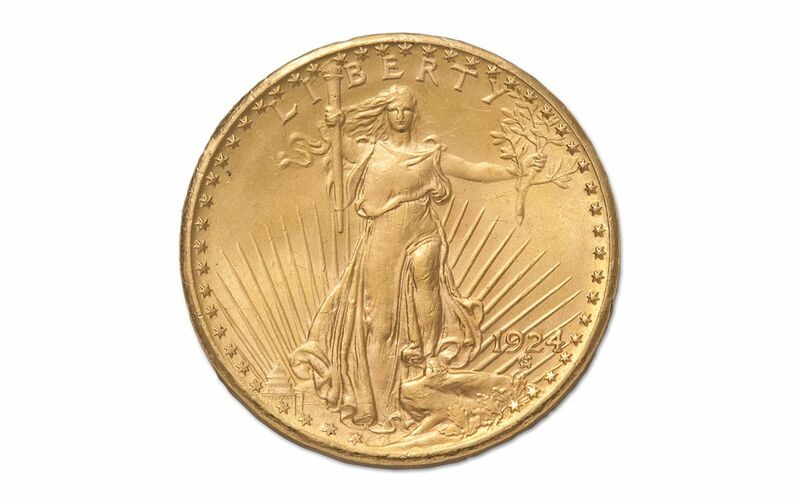 The public was outraged, and in 1908 the motto was added and remained on the coin until its final mintage in 1933, when the U.S. went off the gold standard and began melting down gold coins and turning them into bars. 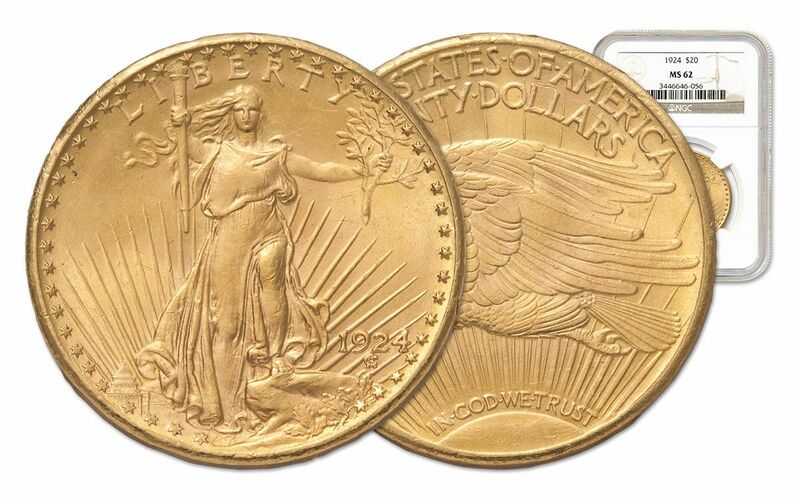 It's estimated that as few as 10% of all vintage U.S. Gold remain! This order includes a single coin dated between 1908 and 1928 (our choice). 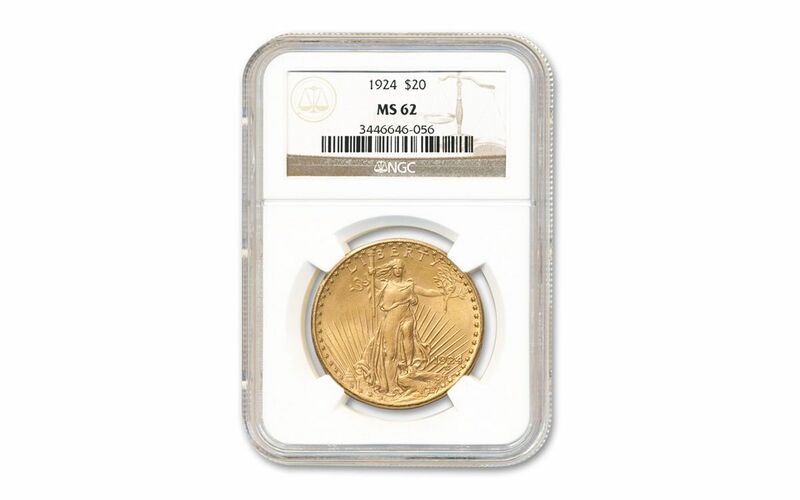 Each comes certified in Mint State-62 condition by either Professional Coin Grading Service (PCGS) or Numismatic Guaranty Corporation (NGC). Don't miss this chance to add one to your collection today!